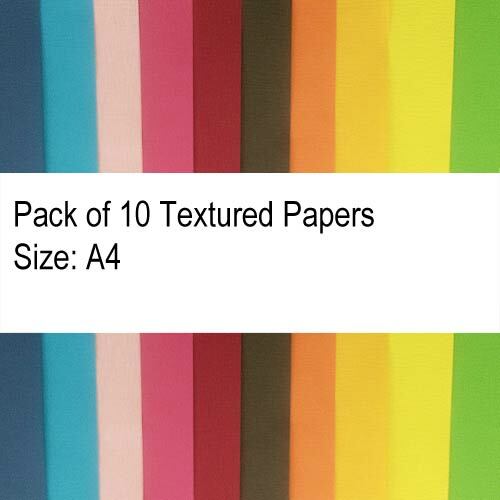 Add a little touch of shimmer to your paper projects. These pretty splashes of shimmery colour will enhance and complement your imagination. Use them for card making, scrap booking, gift wrapping and more!Width: 15mmLength: Approx 2.5 meters x 10 rollsColor: AssortedMaterial: PVCAdhesive Strength: Medium*Colors/ patterns shown are indicative, and may differ..
Add a little touch of shimmer to your paper projects. These pretty splashes of shimmery colour will enhance and complement your imagination. 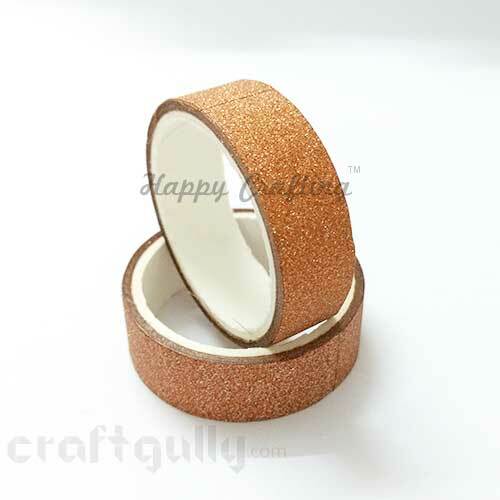 Use them for card making, scrap booking, gift wrapping and more!Width: 15mmLength: 2.5 metersColor: CopperMaterial: PVCAdhesive Strength: Medium*True colors may vary slightly from what you see on your screen..
Add a little touch of shimmer to your paper projects. These pretty splashes of shimmery colour will enhance and complement your imagination. Use them for card making, scrap booking, gift wrapping and more!Width: 15mmLength: 2.5 metersColor: Shimmer Dark PinkMaterial: PVCAdhesive Strength: Medium*True colors may vary slightly from what you see on your screen..
Add a little touch of shimmer to your paper projects. These pretty splashes of shimmery colour will enhance and complement your imagination. 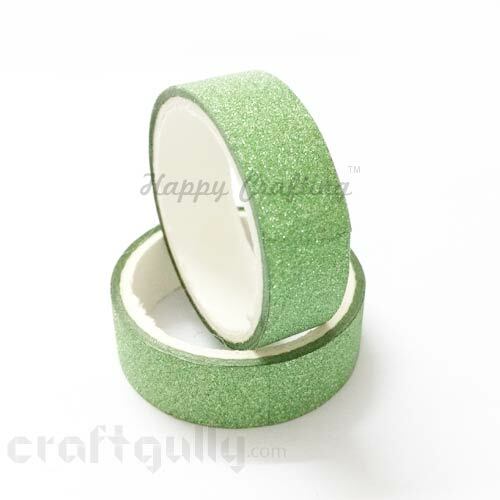 Use them for card making, scrap booking, gift wrapping and more!Width: 15mmLength: 2.5 metersColor: Shimmer Light GreenMaterial: PVCAdhesive Strength: Medium*True colors may vary slightly from what you see on your screen..
Add a little touch of shimmer to your paper projects. These pretty splashes of shimmery colour will enhance and complement your imagination. Use them for card making, scrap booking, gift wrapping and more!Width: 15mmLength: 2.5 metersColor: Shimmer LilacMaterial: PVCAdhesive Strength: Medium*True colors may vary slightly from what you see on your screen..
Add a little touch of shimmer to your paper projects. These pretty splashes of shimmery colour will enhance and complement your imagination. Use them for card making, scrap booking, gift wrapping and more!Width: 15mmLength: 2.5 metersColor: Shimmer MagentaMaterial: PVCAdhesive Strength: Medium*True colors may vary slightly from what you see on your screen..
Add a little touch of shimmer to your paper projects. These pretty splashes of shimmery colour and shapes will enhance and complement your imagination. Use them for card making, scrap booking, gift wrapping and more!Width: Approx 15mmLength: Approx 2.5 meters x 10 rollsColor: AssortedMaterial: PVCAdhesive Strength: Medium*True colors may vary slightly from what you see on your screen..
Add a little touch of shimmer to your paper projects. These pretty splashes of shimmery colour and shapes will enhance and complement your imagination. Use them for card making, scrap booking, gift wrapping and more!Width: Approx 15mmLength: Approx 2.5 metersColor: Shimmer Patterned CopperMaterial: PVCAdhesive Strength: Medium*True colors may vary slightly from what you see on your screen..
Add a little touch of shimmer to your paper projects. These pretty splashes of shimmery colour and shapes will enhance and complement your imagination. Use them for card making, scrap booking, gift wrapping and more!Width: Approx 15mmLength: Approx 2.5 metersColor: Shimmer Patterned Dark PinkMaterial: PVCAdhesive Strength: Medium*True colors may vary slightly from what you see on your screen..
Add a little touch of shimmer to your paper projects. These pretty splashes of shimmery colour and shapes will enhance and complement your imagination. 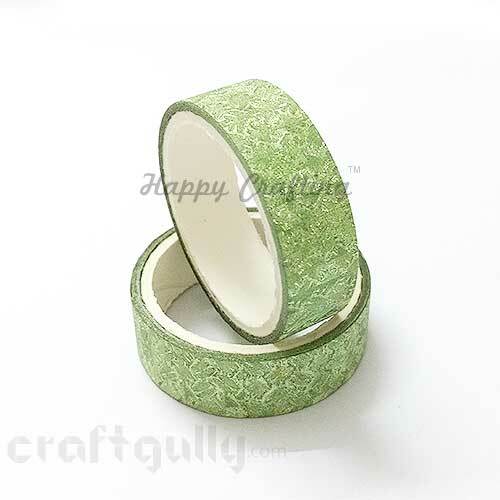 Use them for card making, scrap booking, gift wrapping and more!Width: Approx 15mmLength: Approx 2.5 metersColor: Shimmer Patterned Light GreenMaterial: PVCAdhesive Strength: Medium*True colors may vary slightly from what you see on your screen..
Add a little touch of shimmer to your paper projects. These pretty splashes of shimmery colour and shapes will enhance and complement your imagination. Use them for card making, scrap booking, gift wrapping and more!Width: Approx 15mmLength: Approx 2.5 metersColor: Shimmer Patterned PurpleMaterial: PVCAdhesive Strength: Medium*True colors may vary slightly from what you see on your screen..
Add a little touch of shimmer to your paper projects. These pretty splashes of shimmery colour and shapes will enhance and complement your imagination. Use them for card making, scrap booking, gift wrapping and more!Width: Approx 15mmLength: Approx 2.5 metersColor: Shimmer Patterned TurquoiseMaterial: PVCAdhesive Strength: Medium*True colors may vary slightly from what you see on your screen..
Add a little touch of shimmer to your paper projects. These pretty splashes of shimmery colour will enhance and complement your imagination. Use them for card making, scrap booking, gift wrapping and more!Width: 15mmLength: 2.5 metersColor: Shimmer PinkMaterial: PVCAdhesive Strength: Medium*True colors may vary slightly from what you see on your screen..
Add a little touch of shimmer to your paper projects. These pretty splashes of shimmery colour will enhance and complement your imagination. 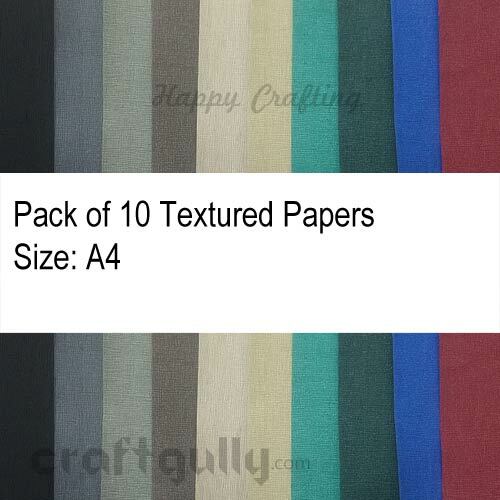 Use them for card making, scrap booking, gift wrapping and more!Width: 15mmLength: 2.5 metersColor: Shimmer PurpleMaterial: PVCAdhesive Strength: Medium*True colors may vary slightly from what you see on your screen..
Add a little touch of shimmer to your paper projects. These pretty splashes of shimmery colour will enhance and complement your imagination. 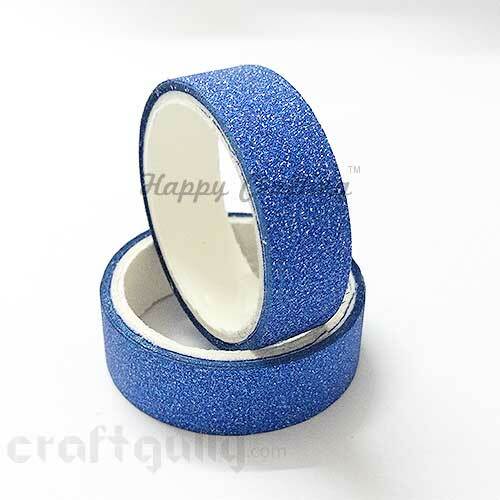 Use them for card making, scrap booking, gift wrapping and more!Width: 15mmLength: 2.5 metersColor: Shimmer Royal BlueMaterial: PVCAdhesive Strength: Medium*True colors may vary slightly from what you see on your screen..
Add a little touch of shimmer to your paper projects. These pretty splashes of shimmery colour will enhance and complement your imagination. 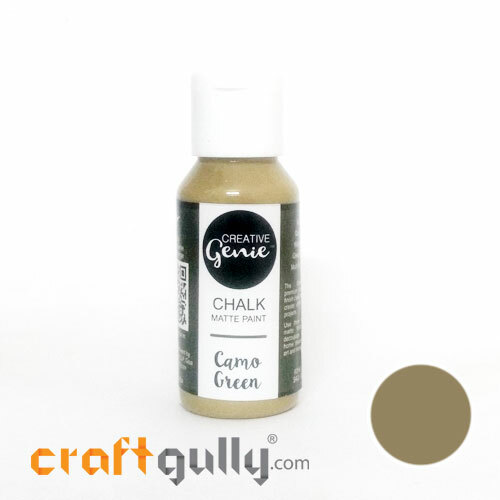 Use them for card making, scrap booking, gift wrapping and more!Width: 15mmLength: 2.5 metersColor: Shimmer TurquoiseMaterial: PVCAdhesive Strength: Medium*True colors may vary slightly from what you see on your screen..